The final Kaya FM Presents Live at The Bassline of 2016 promises to bring out the SOUL SHINE summer vibe Jozi has been waiting for! Friday December 2, sees the always welcome return to the Bassline stage of legendary Mamelodi based troubadour VUSI ‘The Voice’ MAHLASELA. Kaya FM 95.9 and Bassline are proud to present this titan of African music, live on stage, bringing his unique sound and powerful live show that has created magic across the world for over three decades. Kaya celebrates #HerSummer with premium music experiences and this show is no exception. 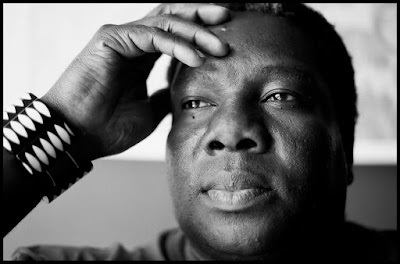 With his hugely successful global career and numerous accolades and awards, Vusi Mahlasela remains a humble man committed to his music and to his positive messages. It is impossible not to be moved by Vusi’s unique vocal style and lyrical acoustic guitar playing. Vusi has coined the SOUL SHINE concept to encapsulate this experience, and his return to the Bassline in Newtown, whilst always a special occasion, promises to set the bar even higher. SOUL SHINE is the spread of Ubuntu through music, and as we head to the end of 2016, the time is perfect to celebrate and share some positive energy. Vusi’s SOUL SHINE AFRICA MUSIC NIGHT at Bassline will not only feature all his popular tunes drawn from a songbook built over ten albums, but the show will feature more than a few musical surprises. This epic evening will bring a stirring end to the Kaya Live @ Bassline series for the year. Get your tickets at Webtickets now, and let your soul shine! For all the latest news on Kaya FM Presents Live @ The Bassline follow Bassline on Twitter and Instagram @BasslineJozi, Facebook https://www.facebook.com/basslinejozi/. To join us book tickets at www.webtickets.co.za for R180 and R200 at the door.